It’s freezing cold here in Kiev, Ukraine. But we were packed and ready to roll on our first day in one of the oldest cities in Eastern Europe. I am loving the wintry look here, although wish it was little warmer. Nevertheless, Kiev is a wonderful city in any time of the year and we are glad to be here. We visited three historical and main churches of the city. 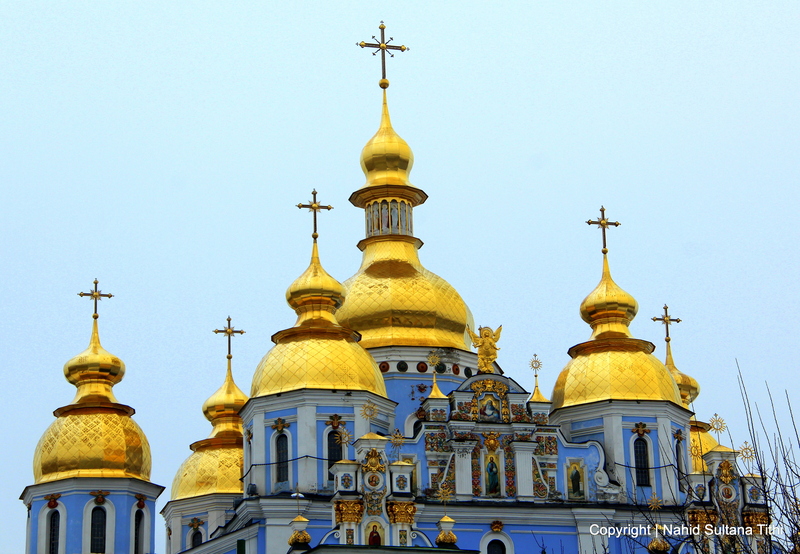 Sharing a beautiful picture of St. Michael’s Cathedral from Kiev which was built somewhere in the 12th century…come back for more beautiful pictures from our Easter Break trip 2013. I just wanted to let you know how much I am enjoying your travels. Thank you so much. Bless you. Ah I hate cold weather – what a beautiful picture, though!